I have begun warming to the notion that ‘corporations are people’ too. It’s odd, since I have long held the opinion this is a silly concept. 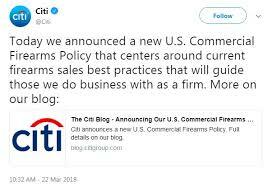 But, then I read the dissonant news that Citigroup has a) met in the White House and quickly decided to loan millions of dollars to the son-in-law in chief’s business interests and b) pressed its retail clients to restrict gun sales without background checks. Similarly, the New England Patriots owner’s move to send the team jet to help the Parkland students and their parents come to Washington, D.C. for the March for Our Lives made me re-imagine the team, offsetting my prior opinion based on Deflategate. Amazon is another such corporate person. We can rail against it when the Dash button doesn’t work, or a promised shipment is delayed. But, we are in a profound relationship with it no matter what. It knows and responds to our needs and wants. We have come to respect its algorithm and its power to partner with us. Even when it is under attack by political leaders. Leader, really. Seemingly intent on taking it down and our 401Ks with it. So, yes, perhaps (no, for sure) my interpretation of the corporation/people dichotomy is not exactly what Mitt Romney and/or the Supreme Court had in mind, but there you have it. Corporations, like people, can confuse us with their ‘push me-pull you’ behaviors. Yes, corporations behave as strangely as we do, swirled around as they and we are by headlines, personal and professional goals and raw confusion. And, occasionally, something of a moral compass. What New Plot Twist Will Today Bring?